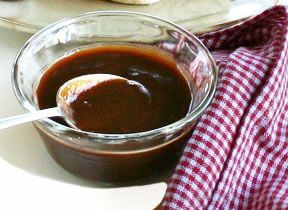 Sweet and tangy, this BBQ sauce is perfect for ribs, burgers, and chicken. It's not too hot, so kids tend to like it. To raise the heat level, add cayenne pepper, Tabasco sauce, or red pepper flakes. 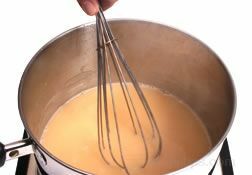 Mix all ingredients together and simmer for about 5 minutes to blend the flavors. Note: To raise the heat level, add cayenne pepper, Tabasco sauce, hot sauce, or red pepper flakes. "I love it and it's so so easy. 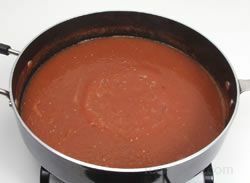 Thank you =)"
"I usually make my own sauce but it always is a little different each time I make it. 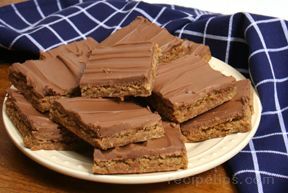 I come across this recipe, which has about the same ingredients as I use, so I thought I would try it. 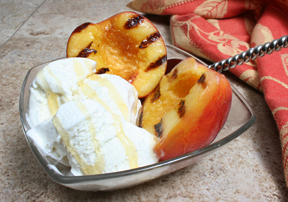 It was terrific and now I have a recipe to go by each time." 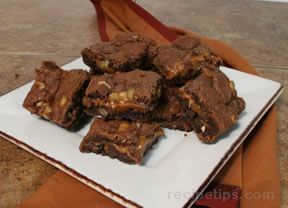 "I only used 1/4 cup brown sugar according to Smilingogre's Review and it was just sweet enough. Loved this on our grilled chicken last night. We have some leftover of the sauce and the chicken so I am going to make BBQ chicken pizza with it. Can't wait!" 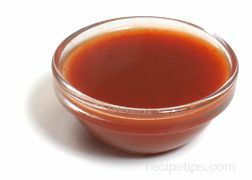 "Great barbecue sauce for chicken or ribs. 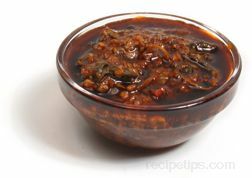 I just used it for some ribs and we loved it." "I took GabriELLA's advice and only used half the vinegar. I don't ever have liquid smoke either. 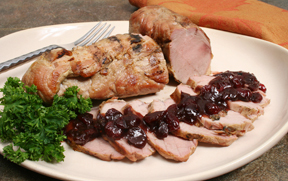 We loved it, too, on our pork chops." 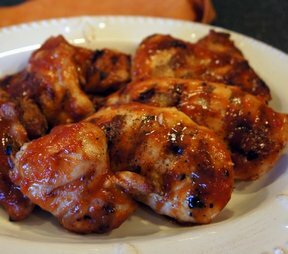 "This is the barbecue sauce recipe I used when I made the grilled chicken thigh recipe. 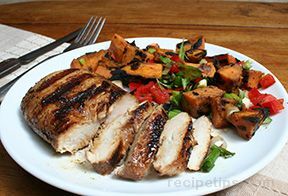 It was simple to make and it was excellent on the grilled chicken." 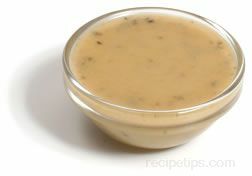 "I needed a barbecue sauce for chicken so I tried this recipe but I only used half of the vinegar that was called for. It turned out excellent, just the way we like it. I'm glad I didn't use all the vinegar." 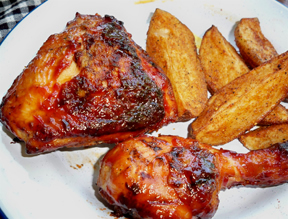 "This BBQ sauce was great on grilled chicken thighs. 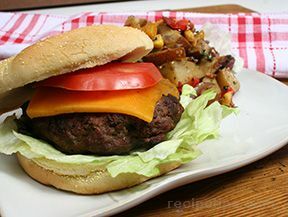 I didn't have any liquid smoke but did use a pinch of cayenne to kick the heat up a tad." 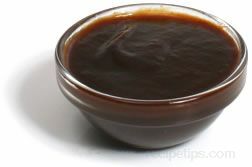 "This is a great base recipe for barbecue sauce. I always like to experiment and adjust ingredients. 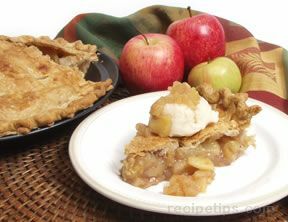 The key is to taste often and add or modify amounts a little at a time. 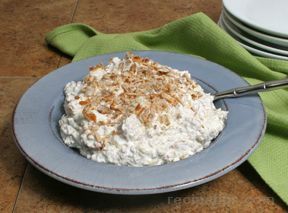 Great go to recipe." "Magic, just what this boy needed." 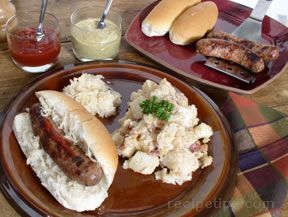 "The great thing about making your own is that you can tweak it however you want"
"This is just what I was looking for an easy sauce that is basic and can allow addition in ingredients." 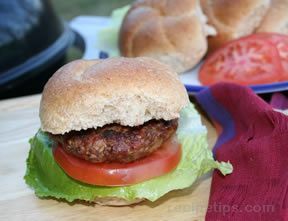 "Tasty and easy! 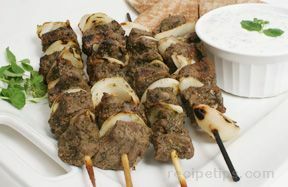 A good and quick recipe." 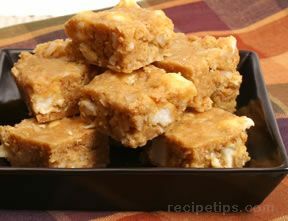 "Awesome easy and very tasty recipe!" 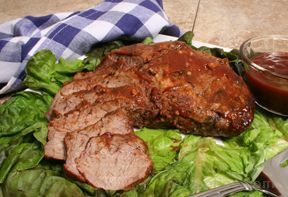 "Thanks a ton for this recipe..was in a quite a pinch had already started my pork ribs in the crock pot and then oh no!!! I had no bbq sauce! 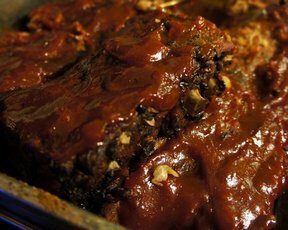 Made this recipe in a jiffy added some Franks hot sauce for a lil tiny bite and the best bbq sauce I have had in quite sometime. Thanks so much for saving dinner :)"
"I always make my own creations and this was a good place to start, great recipe. I added some "hot stuff" so it was more to my liking. 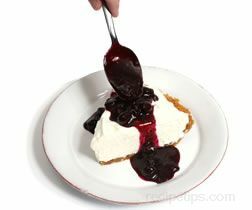 I may share the base recipe, but the added stuff isn't going anywhere." 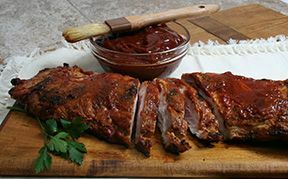 "I used balsamic vinegar instead because I didn't have the other(s)and it was great, everyone loved this sauce =) Thank you for the great, easy recipe =)"
"This sauce got me out of a pinch during a blizzard when I had made a pulled bbq chicken recipe and didn't have enough sauce. I am SO glad it happened, bc it was great. My fiance and his snowed-in friend LOVED it, and it was super easy! Thanks so much!" 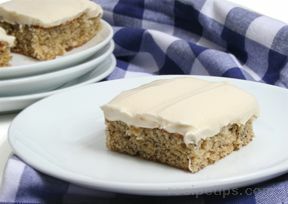 "Good base recipe, though I would cut back on the sugar some, it tends to be a tad sweet."